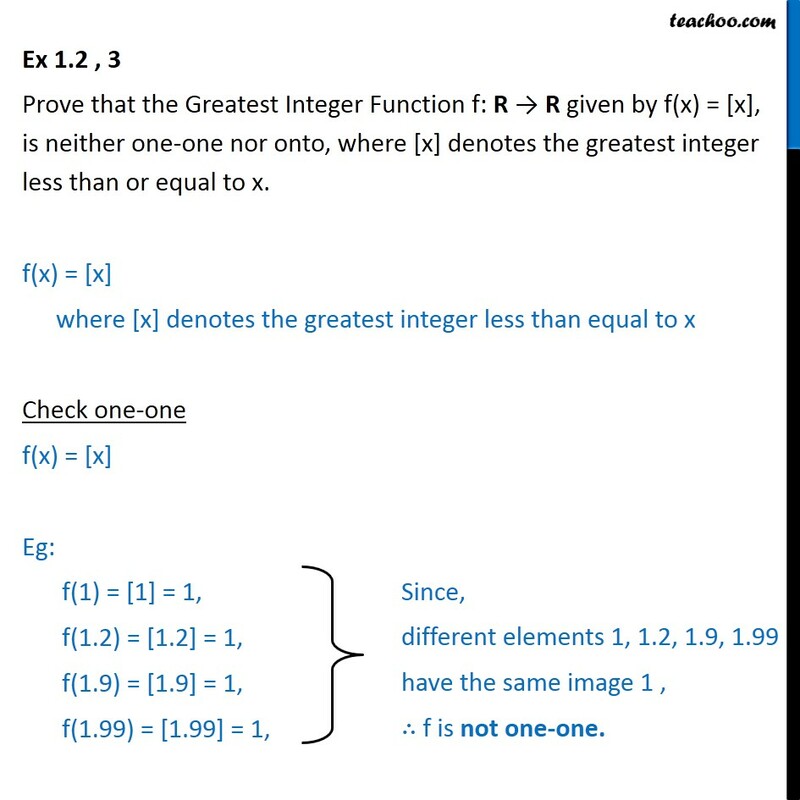 Ex 1.2 , 3 (Introduction) Prove that the Greatest Integer Function f: R R given by f(x) = [x], is neither one-one nor onto, where [x] denotes the greatest integer less than or equal to x. f(x) = [x] = greatest integer less than equal to x Example:  = 1 [1.01] = 1 [1.2] = 1 [1.9] = 1 [1.99] = 1  = 2 Ex 1.2 , 3 Prove that the Greatest Integer Function f: R R given by f(x) = [x], is neither one-one nor onto, where [x] denotes the greatest integer less than or equal to x. f(x) = [x] where [x] denotes the greatest integer less than equal to x Check one-one f(x) = [x] Eg: f(1) =  = 1, f(1.2) = [1.2] = 1, f(1.9) = [1.9] = 1, f(1.99) = [1.99] = 1, Check onto f(x) = [x] Let y = f(x) y = [x] i.e. 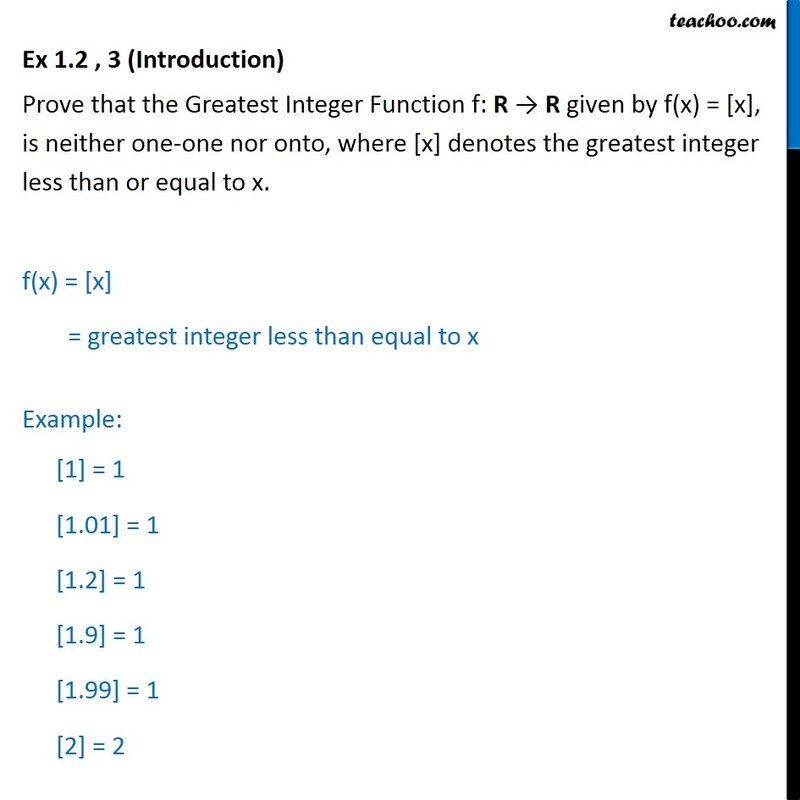 y = Greatest integer less than or equal to x Hence, value of y will always come an integer. 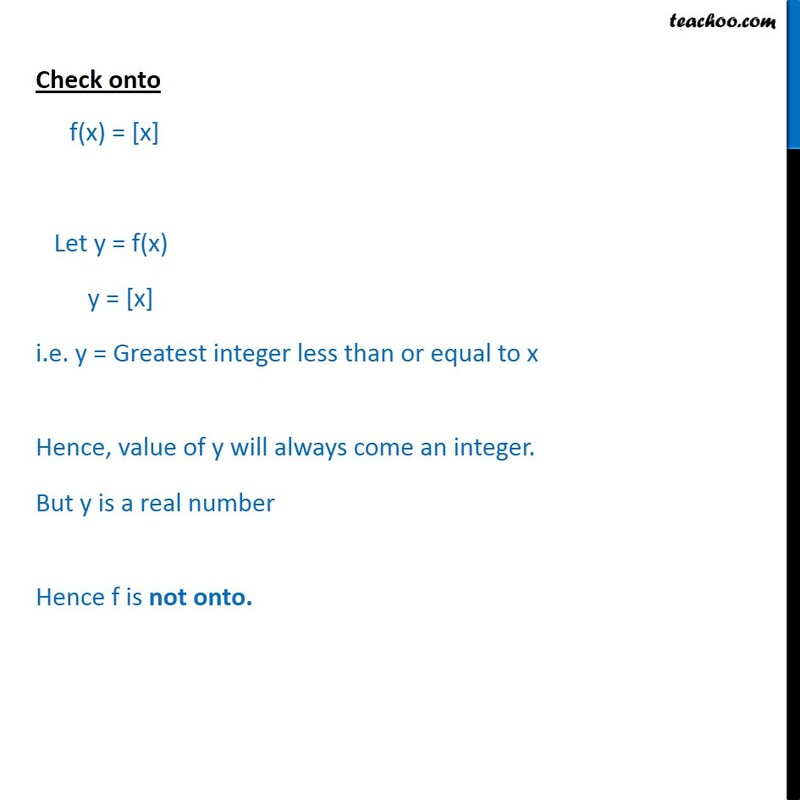 But y is a real number Hence f is not onto.